Mrs. Tina Darling is one of those individuals who sees a problem and then does not rest until there's a solution. In this case, the problem was the addition of a school crosswalk for elementary and middle school students that was intended to provide safe passage to and from school for our kiddos in the neighborhoods to the east and south, but because old habits die hard, we had many drivers who failed to stop properly and give the right of way to pedestrians. This put both Tina's grandchildren and others at risk. Enter Tina Darling to the picture!! Tina took it upon herself to volunteer as the before and after school crossing guard for the dozen or so children who walk to and from school each day. Even on the coldest, nastiest dog days of winter, Tina was out there protecting our kiddos and building relationships. Speaking of relationships, it did not take long for these children to start offering Tina hugs and calling her "Grandma"!! As this role began to take on more definition, Tina also took it upon herself to order some safety equipment like a reflective handheld stop sign and such, so drivers attention could be heightened on those dark mornings. 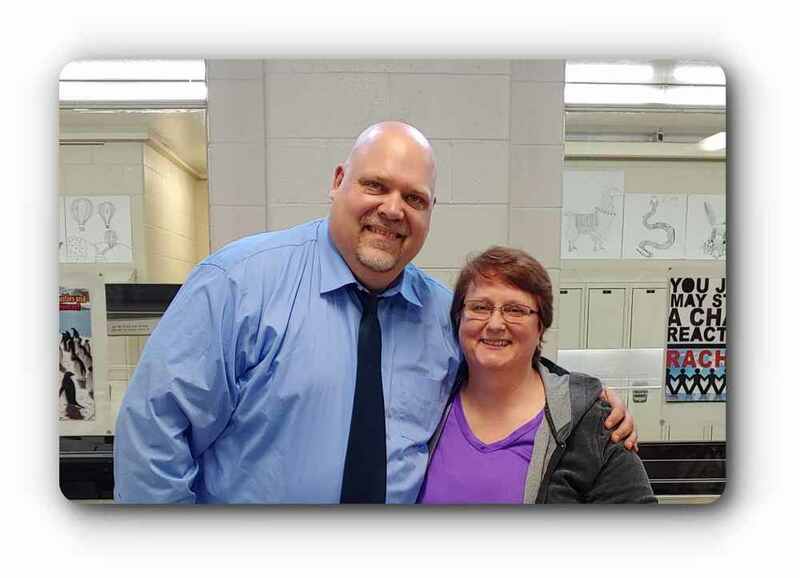 When informed that Schoolcraft Community Schools would like to recognize her service, Tina was reluctant at first stating her efforts are a labor of love not intended to attract attention to herself. But once Mr. Powers explained this award more fully and that our community is hungry to hear of the good news out there rather, than the bombardment of bad news in the media today, she was willing to join us. Please help me recognize and thank, Mrs. Tina "Grandma" Darling, as our April Soaring Eagle Award Recipient!! !